The nation of Costa Rica has been represented by a wide variety of Costa Rican flags since it first gained its independence from Spain. The flag of Costa Rica has its roots in the same nationalist movements that led to the independence of many other states in Central America, so it bears a natural resemblance to the flags of those nations. It also bears a strong resemblance to the flag of Thailand, but that similarity is only a coincidence. The Costa Rico flag without the emblem was adopted in 1848 and is still used as a civil ensign. The red white and blue colors are for the revolutionary France. 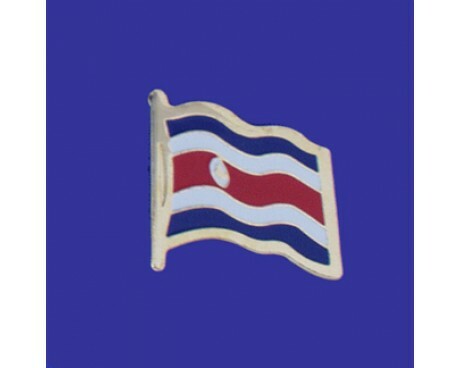 The current design with the emblem was adopted in 1964. 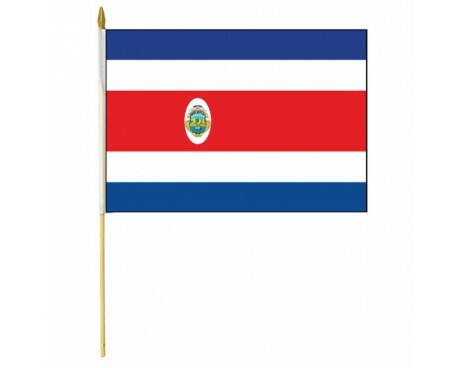 Costa Rica's National Motto: Pura Vida "So Alive"
The flag of Costa Rica consists of five horizontal bands of blue, white, and red with the country's coat of arms displayed on a white disc on the hoist side of the central red band. 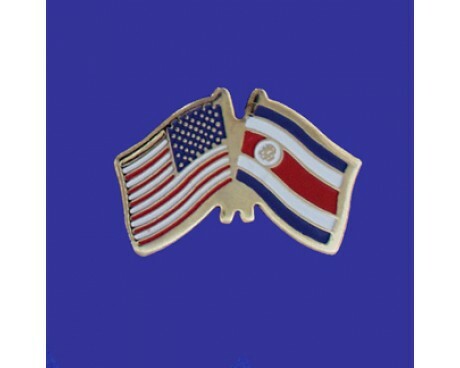 The red band represents the blood that the people of Costa Rica shed in order to win their independence from the Spanish Empire, the white band represents peace, wisdom, and happiness, and the blue band stands for opportunity, idealism, and the sky over the nation. The three colors were drawn from the tricolor of the French Revolution, which had been an inspiration for many of the country's early leaders. The coat of arms features a ship sailing in front of three volcanoes. The three volcanoes represent the three mountain ranges of Costa Rica, while the ship is a reference the nation's long naval history. Costa Rica was part of the Spanish Empire and used the Spanish flag until the Federal Republic of Central America won its independence from Spain in 1823. Costa Rica became part of the Federal Republic, so it used that nation's flag until it dissolved into several independent nations in 1841. The earliest form of the modern Costa Rican flag was adopted in 1848. It featured the same colors as the modern flag, but it displayed a slightly different form of the coat of arms in the flag's center. 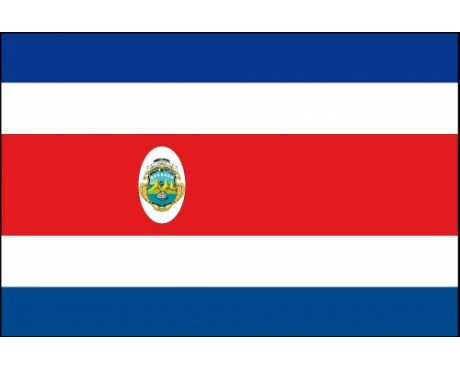 Costa Rica used that design for more than half of a century before adopting the modern flag in 1906. The modern design fell out of use in 1964 until 1998, when it was once again adopted as the official design for all Costa Rican flags.